In town for a few days? Looking for the best things to do in DC? Well, here are the top 5 monuments that you absolutely cannot miss when you visit Washington, DC. The Lincoln Memorial is the gem in the crown of the top things to do in DC. 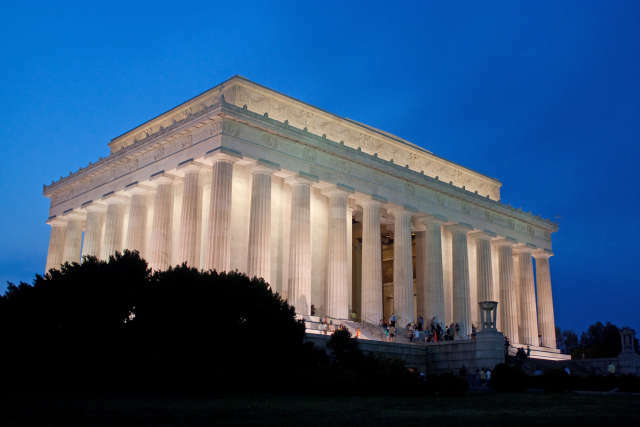 Whether in the day or the evening or in the middle of the night, the Lincoln Memorial floats above the National Mall. On the steps of the Lincoln Memorial, you get the very best view of Washington DC. The best way to see all the monuments is to take a private tour by pedicab. You can see all the monuments at your own pace in about 2-3 hours. 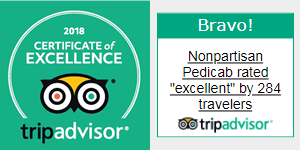 Check out the Tripadvisor reviews to see why this is the best tour of DC. Click here for more information about the Lincoln Memorial. The Washington Monument floats above the National Mall. 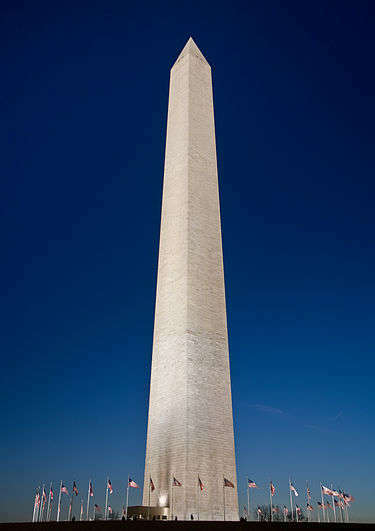 Everyone agrees that the Washington Monument is one of the top things to see in Washington DC. The best way to see all the monuments is to take a private tour by pedicab. You can see all the monuments at your own pace in about 2-3 hours. 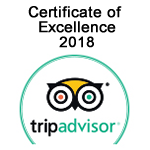 Check out the Tripadvisor reviews to see why this is the best tour of DC. The lovely view of the exterior of the Washington Monument is open 24 hours a day. Click here for free tickets to go to the top of the Washington Monument. Much more information about the Washington Monument is available here. The Smithsonian Institution runs a series of free museums. Ten Smithsonian museums are on the National Mall, and there are another 5 Smithsonian museums around Washington DC plus the National Zoo. Click for opening hours at all the Smithsonian musums. 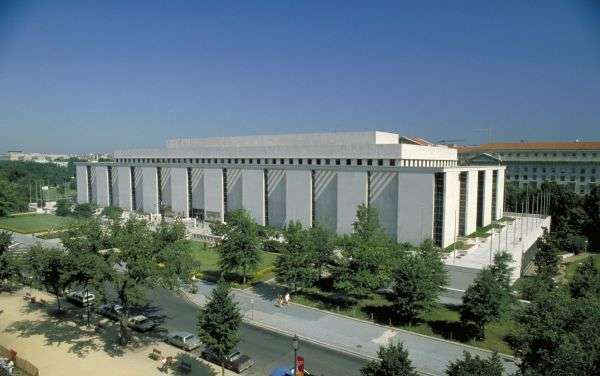 Click here for information on the Smithsonian Natural History Museum. Click here for information on the Smithsonian Air and Space Museum. A tour of the National Mall is the best way to see DC. 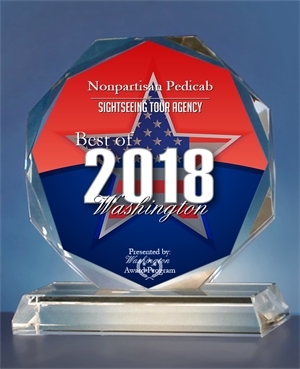 Check out the Tripadvisor reviews to see why this is the best tour of DC. A visit to the Jefferson Memorial is one of the top things to do in DC. You can see the all the memorials, including the Jefferson Memorial by taking a a private tour by pedicab. You can see all the monuments at your own pace in about 2-3 hours. Check out the Tripadvisor reviews to see why this is the best tour of DC. The Jefferson Memorial is open 24 hours a day, 365 days a year. 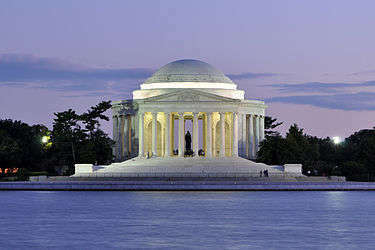 Click here for more information about the Jefferson Memorial. The Martin Luther King Memorial memorializes the great American civil rights leader. The memorial is located right on the Tidal Basin. 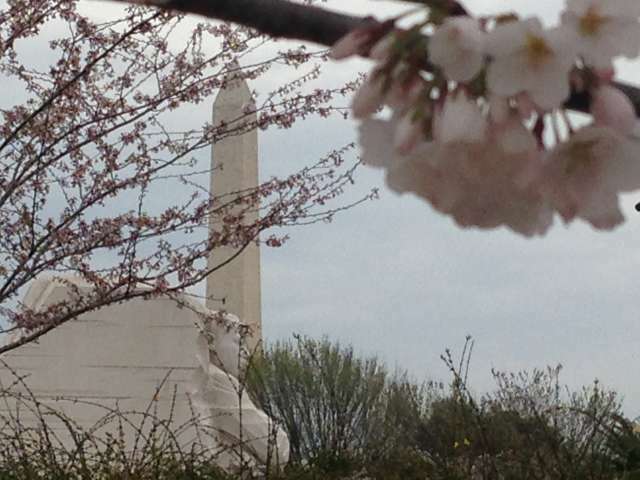 It is really the top spot to see the cherry blossoms in DC. Easily one of the top 5 things to do in DC. The best way to see all the monuments is to take a private tour by pedicab. You can see all the monuments at your own pace in about 2-3 hours. Check out the Tripadvisor reviews to see why this is the best tour of DC. The Martin Luther King Memorial is open 24 hours a day, 365 days a year. See this memorial in the evening with a Twilight Tour of the Monuments. Click here for more information about the Martin Luther King Memorial.